Microsoft’s Surface Andromeda is a long rumoured device that made the rounds several times in the past but the company hasn’t confirmed its existence yet. According to reports, Microsoft is still interested in pocketable Surface devices and the company was planning to introduce a Surface Mini tablet alongside its Surface Pro 2-in-1 device in 2014 but Microsoft’s executives cancelled the Surface Mini project just weeks before its launch as it wasn’t a unique device. Microsoft is planning to create new form factors in the future but the company only wants to launch the form factors in the market that excite customers. “We will invent and we will create when products are right. We can’t bring new categories into the world and not be a place where customers need it,” Panos Panay said in an interview. “Right now we see people use these products in ways that are blowing my mind, it’s inspiring” explains Panay. “I think there’s a lot of new form factors that are coming in the future,” says Panay when asked about pocketable Surface devices. 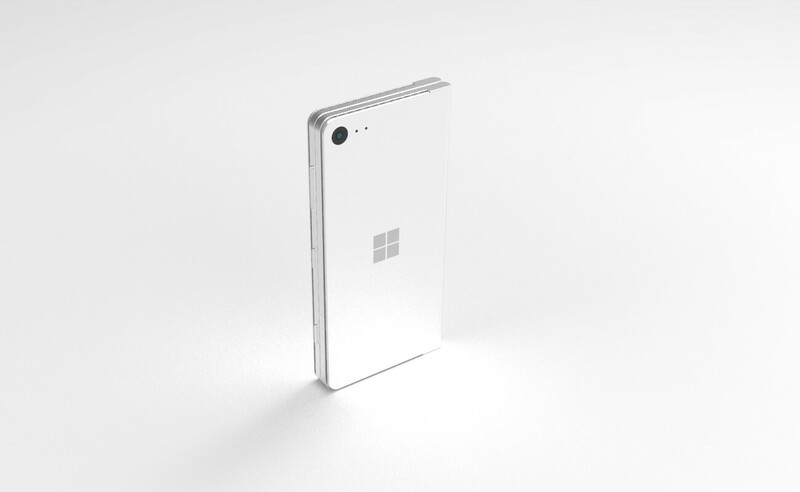 Microsoft’s Andromeda (originally referred to as Surface Phone) is said to arrive next year. Andromeda will feature two displays and a hinge holding the screens together to enable support for different form factors (such as tablet mode, tent mode and laptop mode). According to the most recent rumours, the interesting tidbits of AndromedaOS (the software powering the dual-screen device) were discovered in language packs published on the Microsoft Store. The leak suggests that the Andromeda might come with call recording features and the indications of a dual-screen concept were also spotted. It’s important to note that Andromeda will be able to run all Windows 10 UWP apps published on the Microsoft Store but it appears that the software maker is also developing apps that are designed to run on Andromeda exclusively. There were some rumours claiming that Microsoft is looking to fill the controversial app gap with an unknown strategy and this leak suggests that the third-party developers will also be allowed to develop apps with a focus on Andromeda features. There are no specifics as to when Andromeda could see daylight but it’s likely that Microsoft will unveil the device when the hardware and software are ready. We may have to wait up to 6 months to learn more about such a product.